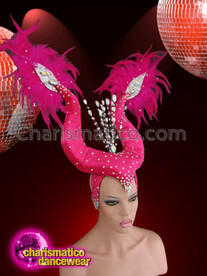 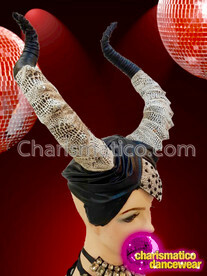 Intense red metallic fabric wraps around these Maleficent inspired horns and turban base. 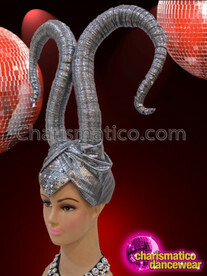 The real diva can play wicked with or without color. 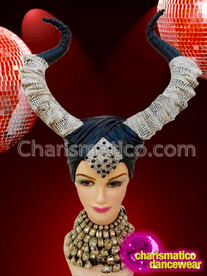 This lovely headdress suits even the darkest of moods with the addition of other Gothic colored items. 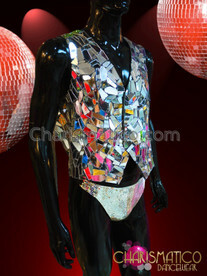 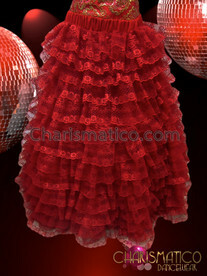 Use of aqua and sky blue organza makes this flame-ruffle tissue jacket shimmer like its made of ice.